nation and general athletic ability. 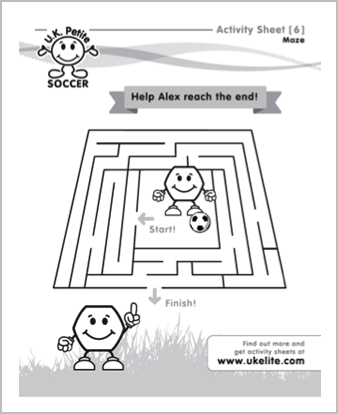 Choose UK Petite Soccer Camps ? 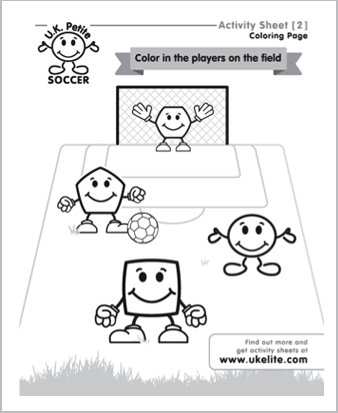 Color & learn with your favorite UK Petite characters. Weekly Player Activity Sheets. Click Image to download / print. 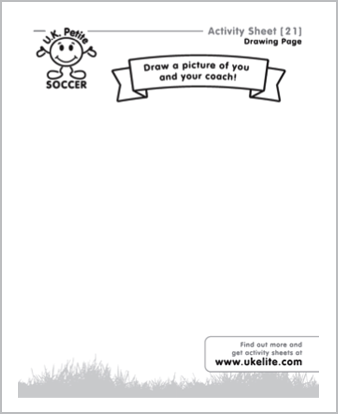 What Defines a UK Petite Soccer Camp? Through the medium of soccer related fun activities and games we have created progressive curricula for children aged 2 – 6 which introduce the sport and develop age appropriate skills. Our philosophy and methodologies are based on cutting edge educational principles of how children learn techniques and develop them into skills while having a fantastic time! 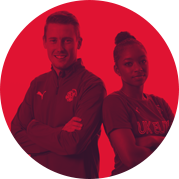 Since its inception in 1996 our U.K. Petite Soccer program has grown in popularity to the point where we currently have over 6,000 children between the ages of 2 and 5 attending our programs annually. All a child needs to join a program is a pair of sneakers, a pair of shin-guards and plenty of energy and enthusiasm! For more information please contact us at info@ukpetite.com or call 973-631-9802. U.K. Petite Summer Programs help to increase early physical and emotional development with 3 – 5 year old children. 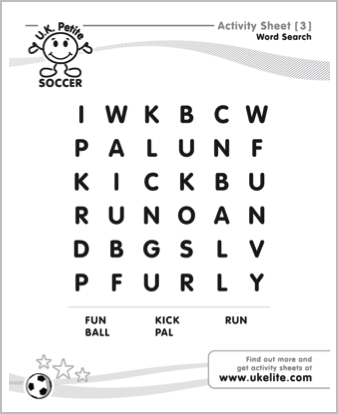 The fun, healthy and exciting world of soccer can now be part of their active lifestyle. Petite Camps are typically 75 or 90 minutes a day, Monday to Thursday / Friday. Each day is structured to promote individualized learning through the medium of fun soccer related games and activities. Typically 6 – 8 weeks in length and range from 45 minutes for the youngest to 60 minutes for the oldest. Classes are structured to build from individualized learning (ball each) to small group activities (shared ball, cooperation and/or teamwork) to conditioned games (small scrimmages). Of course each class varies in structure according to the ages of the children – please check the specific program on the website for further class information. Classes are conducted year round – both outdoors (in association with soccer clubs, recreation departments and YMCA’s) and indoors (in association with the above and also childcare centers and indoor sports facilities). Organize your own program with your children and their friends. You choose the time, location and duration of the program that fits with your schedule. Perfect for organizing your own after school activity group or simply a great way to create a neighborhood event. Available year round. Having a birthday for your child with UK Petite Soccer offers a chance for you to have a memorable time without any of the hassles for you. 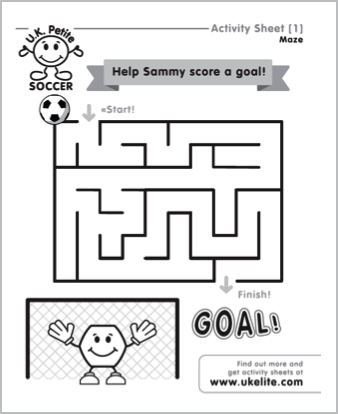 Turn your child’s birthday party into a memorable soccer extravaganza! We can provide anything and everything you require, allowing you to fully concentrate on enjoying the party. A variety of options are available in order to customize an event especially for you. 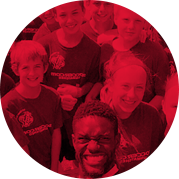 Package options include a great soccer experience plus t-shirts, soccer balls, patches, water bottles, shin pads and anything else you may need. All equipment is provided for any size or type of party and our professional staff will organize fun soccer games and activities to ensure children of all ages and abilities have a great time. Hosting your own program is a great opportunity to have exciting camps or classes in your town. If you are involved in a Recreation Department, Soccer Club, YMCA, Youth Club or just an interested parent all you need to do is give us a call or send an email to Liaisons@UKPetite.com. Q: What exactly is a U.K. Petite Soccer Camp or Program? 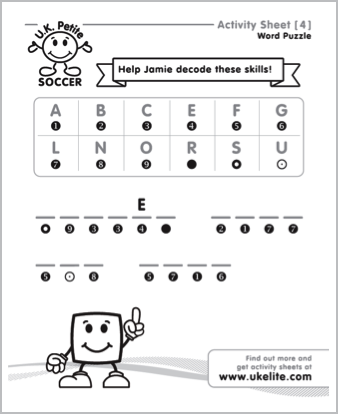 What will my child learn at a U.K. Petite Soccer Camp or Program? 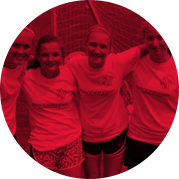 A:The number one priority at all our camps and programs is that players have a great time learning about soccer and developing their social and physical skills in a safe, nurturing environment. 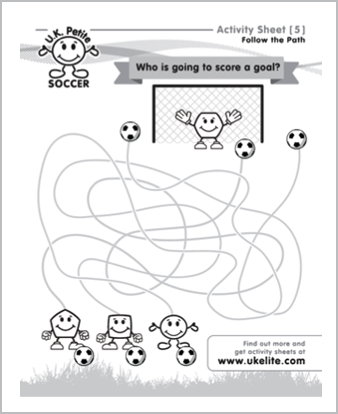 Specific age appropriate curricula have been designed for all programs with the goal of achieving both common, and age specific Learning Outcomes (http://www.ukpetite.com/downloads/LearningOutcomes.pdf). Q: What time should I arrive for a camp or program? A:We ask that you arrive approximately 15 minutes prior to the first session so that we can register everyone quickly and efficiently and get all the children playing and having fun as soon as possible. For all future weeks please arrive 5 - 10 minutes prior. Q: What equipment does my child need? A: Please ensure that your child is dressed appropriately for indoor or outdoor play according to the season and facility. For outdoor play children can wear sneakers or cleats. All players must wear shin guards for all sessions. Q: Do I need to bring drinks and snacks? A: Players should always bring plenty to drink. Our coaches will take frequent breaks for children to rest and re-hydrate. Due to the short nature of the camps and programs it is at your discretion whether to pack snacks. Children will have time to eat small healthy snacks during water breaks. Q: What do I do in the case of inclement weather? A: In the event of inclement weather a program may be cancelled. All cancellations will be posted on our website at http://www.ukpetite.com/cancellations.aspx Please note: Due to the geographical reach of our programs and timing of cancellations occasionally the online list may not be complete. If in doubt please travel to the field and a decision will be made at that specific location. Q: Can parents participate in the camps and programs? A:Parents are encourage to attend all session to support their child and also assist our coaches in the event that their child is having any problems. Parents may actively participate in the programs for our youngest players if it is necessary or beneficial. Q: How do I give feedback about the coaches and the program? A: Please visit our website and fill out the Online Questionnaire (http://www.ukelite.com/survey/petite_survey.jsp). Your suggestions will be used to actively improve our camps and programs. Q: How can I help to spread the word about U.K. Petite? Q: How can I facilitate a U.K. Petite Program closer to my home?